Are you looking for a cool fundraiser for your mud run event? Our partners have raised money for team shirts, sports equipment, athlete sponsorship, scholarship funds and more during a mud run event. By collecting gently worn, used and new athletic shoes, you can raise funds and build brand awareness during a mud run event. You don't have to ask anyone for money or ask your champs to sell anything. All you do is ask your supporters and community for their athletic shoes. Sneakers4Funds will then issue you a check for the athletic footwear. What do you get when you sign up for a mud run athletic shoe drive fundraiser? The collection materials, which includes special green mesh bags for gathering the sneakers. 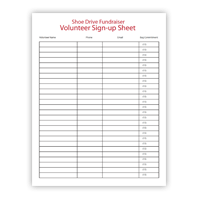 All of the marketing materials you’ll need to promote your fundraising event, including a custom landing page on OurSneakerDrive.com. Tips and strategies across social media to help you promote your fundraiser. Fundraising coaches to help you from start to finish! Pick-up of the athletic shoes by the Sneakers4Funds logistics team. A check issued to you within 2 business days of the receipt of the sneakers at the Sneakers4Funds warehouse. 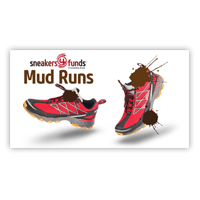 What is the Sneakers4Funds Mud Run Program? Mud runs are an excellent opportunity to also use it as a fundraiser where participants and the community can give you their unwanted gently worn, used and new athletic shoes. We’ve developed a unique green mesh bag to collect sneakers after muddy races. Now you can raise funds for your favorite cause and use a mud run as an opportunity to fundraise. How does the Sneakers4Funds Mud Run Program work? We’ve partnered with many mud run groups to raise money. Our athletic shoe drive fundraising program for mud runs gives you everything you need for fundraising success. You’ll get the unique green mesh bags to collect athletic shoes for your fundraiser. You’ll also receive a garden hose nozzle to clean off the sneakers before they are placed in the bag. We'll provide you with all of the expertise, including the marketing material necessary for promoting your mud run fundraiser, as well as pick-up of the athletic shoes from your storage location. 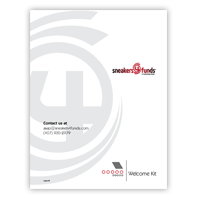 Once Sneakers4Funds has processed the sneakers, you or your favorite cause will receive a check from us! 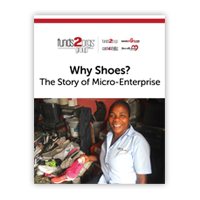 How do we collect and prepare wet and muddy athletic shoes for eventual pickup by Sneakers4Funds? Rinse the sneakers off right after they are dropped off at the finish line and bag 15 pair per bag in the bags provided. Why not take a moment and find out what Sneakers4Funds can do for you to help you raise money in a truly unique, fun and engaging way during a mud run event?